Here's a demo of the Skeedish Muff on Bass. I'll do a demo of it on Guitar when time permits. Also, it's taken from my iPhone so it's not exactly studio quality and it's from my Mesa Boogie Express amp so it's not a bass amp. A guitar-optimised and a bass-optimised one - basically just the Tone Section is affected. I've used the guitar version in the video because I've still got to work out the EQ values for Bass. When looking at Fuzz, there's always a tradeoff between better bass and more "muddiness" or less bass and more "tightness". 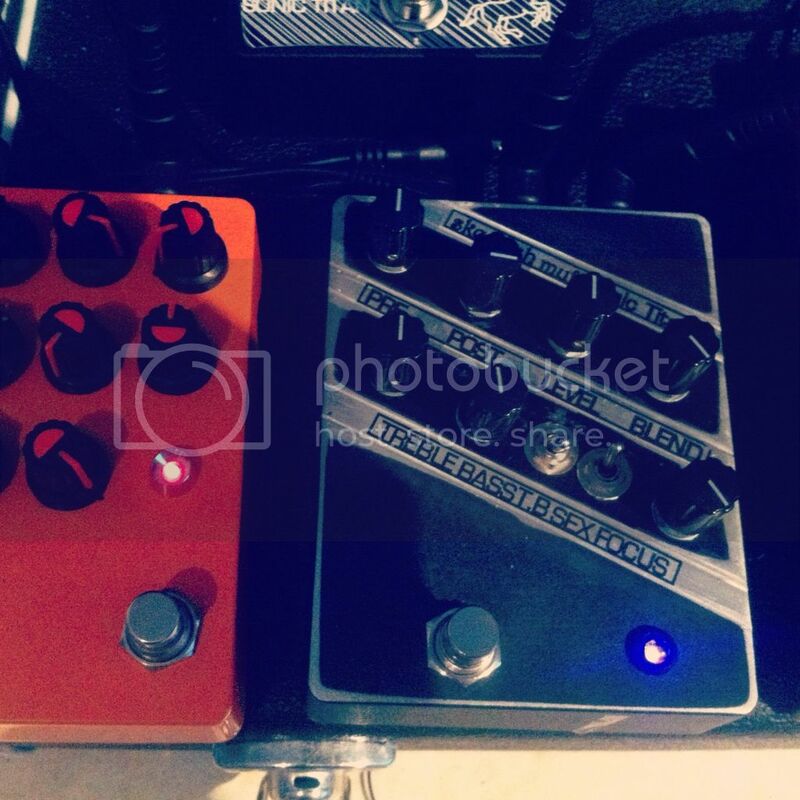 So the lower you go, the harder it is to get good fuzz - hence the Treble/Bass/Blend/Bypass/Focus knobs to combat this. As a benchmark I used a Woolly Mammoth, I love it on guitar but was designed for bass - huge low end. Better still, my bassist says it sounds good - and he has a big beard so it must be legit.